Prosperity Economics has begun its renaissance as an alternative to typical financial planning. An increasing number of courageous, conscious, independent thinkers have outgrown typical financial planning. They resonate with a different financial philosophy that provides more control, certainty, and permission to use their money now. For them, the financial status quo has been losing its luster. Its unfulfilled promises and failure to produce economic security have grown increasingly apparent. At The Money Advantage, we are a community of wealth creators. We are entrepreneurially-minded business owners who are taking control of our lives and financial destiny. We have a compass that always points back to the principles of wealth, not just to strategies or products. You need the right mindset, philosophy, and principles of abundance, expansive thinking, creation, cash flow, and control in place first before any financial tactics can genuinely benefit and serve you. This conversation on the mindset, philosophy, and principles of wealth creation fits right into the very first step of the first phase. All around, you notice people who have socked away money in retirement plans who are unable to retire. They’re working longer because they have to, giving up on the lifestyle they’d hoped for, or fearing running out of money. You’re told it’s their fault because they haven’t saved enough. But even the most diligent and disciplined savers have had wealth indiscriminately erased by the fickle tide of the market. It seems impossible to get ahead, much less to win the financial game. The incongruences are shocking. Many tried to ignore it, but you couldn’t. No matter what you do, it seems like you’re swimming against the tide in a system that’s rigged against you. If you put less away for the future, you end up not having enough in the future. If you put more away for the future, you end up more worried about losing what you’ve built because of uncertainty and the risk of loss. You have many looming questions about what you’ve heard from the media, Wall Street, and the financial planning industry. You’re not content with feeling out of control. You don’t like closing your eyes and hanging on for the ride, hoping for the best. You want guarantees and certainty that put you in the driver’s seat of your life and destiny. Isn’t that why you started a business in the first place? To create your future and take the bull by the horns? There’s valid reason for you to feel unsettled. Your hunch about the status quo is right: it is failing the American population. The underlying assumptions of typical financial planning don’t fit your worldview or your life goals. Typical Financial Planning Assumption #1: You desire to feel great about your money means you want a plan for retirement. Typical financial advice today is usually synonymous with retirement planning. Its aim is to plan for your future. Planning for the most robust present isn’t within its scope. Typical Financial Planning Assumption #2: You can create a plan that will work, based on guesses about the future. How much can you save or invest? What do you expect inflation to be over time? No one can legitimately know the answers to these questions. Instead of looking dumb, we make guesses that are nowhere near concrete answers. They then become the foundation and framework of your financial plan. Typical Financial Planning Assumption #3: You have to take on risk to earn higher returns. We shrug off the discomfort with taking risk. After all, we don’t want to lose any money. We try to reassure ourselves that, just as we’ve been told, we have to take high risk to get high returns. What other areas of life would you take high risks? If you took high risk with your significant relationships or your health, would you expect a positive outcome? Typical Financial Planning Assumption #4: You hate your job, and want to retire. It’s assumed that we work a job that drains us, and escaping the necessary evil of work is the peak of bliss and satisfaction. Typical Financial Planning Assumption #5: You are not smart enough to handle your own money. It’s assumed that you are not capable of making decisions with good financial sense and that growing wealth is a job only experts can do. You hand your money over to someone who is presumably smarter than you, expecting them to invest it with the highest returns, and turn it into enough cash flow for you to live comfortably in retirement. Typical Financial Planning Assumption #6: Investing means putting money in the stock market. Investing means you’ve put your money in some combination of securities – paper assets in the stock market. Typical Financial Planning Assumption #7: Having access to your money isn’t important. Meanwhile, if you need access to your money along the way, you’ll usually pay exorbitant taxes and fees. If you’re concerned with your portfolio losing money, you’re advised to keep it invested and hang on for the long haul. Typical Financial Planning Assumption #8: You should build enough net worth so you can live off the interest in retirement. Your goal is to accumulate a pile of cash large enough to live off the interest in retirement without depleting the principal. Typical Financial Planning Assumption #9: Everything works out exactly as you plan it. We’re smart enough to realize that we don’t control the future. There are forces outside our control that upset the perfect environment of our plan. What happens when we craft our plan around fluid variables as if they were constant, and then those variables shift? The very real risks of an unknown future of taxation, inflation, interest, cost of living, our future lifestyle needs, and our longevity are not predictable. Therefore, the plans designed to fortify our confidence become nothing more than worthless paper a moment after they’re written. While these assumptions are usually accepted without question, most of them are narrow-minded, limiting and disempowering. They’re incongruent with who you are and what you’re creating. Let’s look at an example of a person making $60,000 per year. They’re 25 years old now, plan to work for the next 40 years, and then retire at age 65. They want to have a $60,000/year lifestyle in retirement for the rest of their life. Let’s assume they’ll live to age 100. We’ll account for earning 6% during the accumulation years and moving into lower risk portfolio with a 3% growth rate during the distribution years. If inflation was 3% every year, let’s see how much they will need to support their lifestyle in the future, and how much they would have to save every year to get there. We’ll also assume a 15% tax bracket. Inflation diminishes the purchasing power of your dollars every year. This person at age 70, would need $226K of annual income, just to feel like the same money that $60K was back when they were 25. By the time they’re 90, they’ll need over $409K in annual income to buy an equivalent lifestyle. If they were hoping to live more luxuriously in retirement, they’d need even more. Now let’s look at what it would take to save up enough to get there. This person would need to save about $58K every year during their working years to amass over $7 Million by age 65 to make this work. This means that they’d need to put aside $4,878 every single month during their 40 years of working. If their income rises every year during their working career, this may potentially be feasible towards the end of their working years, but unachievable in the early years. Early on, they would be required to save approximately 97% of their pre-tax income. That’s likely more than their take-home pay. Every year, as inflation ratchets up the amount of income that needs to be withdrawn every year, the withdrawal amount exceeds the account growth, depleting the principal and draining the account completely down to $0 by the time the last annual withdrawal is made at age 100. This over-simplified example does not factor in taxes, lower returns or years with negative returns, living longer, or unforeseen expense – four primary things that would upset the entire plan and cause you to need a greater balance at retirement. It also assumes a constant rate of return every year, which history proves is unattainable. If you just so happen to get the memo sometime after your 25th birthday, the amount you’ll need to save each year increases dramatically as you reduce the number of saving years before you retire. All of this seems out-of-this-world unachievable! It is possible to build a life you love and reach economic freedom. However, going about it the typical way will never get you there. Your goals are to have no worries about money. With plenty of cash flow, you’ll be able to make life decisions as if money were not a factor. You want to fund big missions, expand your reach, serve greatly, and create world-changing innovation. You’re building your life and business around your unique skillset, and it energizes you to continue growing. Planning for a finite financial future doesn’t even make sense. Wouldn’t it be better to build a plan to maximize the use of every dollar? What if you could maximize your cash flow, starting now? 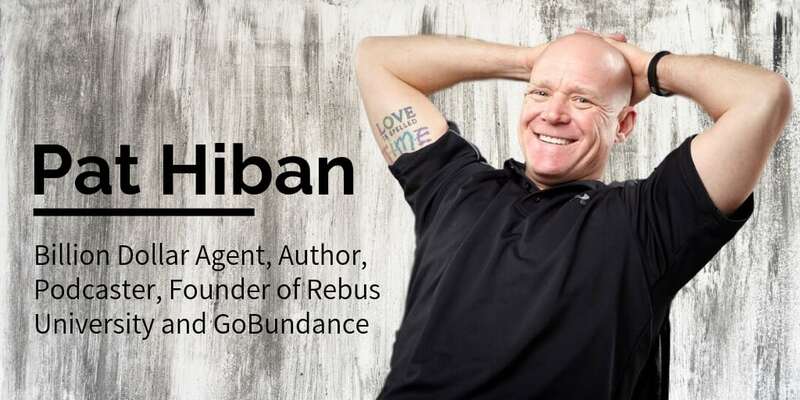 What if you could build in as much certainty and guarantees, so your plan was flexible enough to perform with the greatest success in whatever environment the future holds? You need an economic system that’s congruent with your life mission – one with no limitations. One that grows with you and supports your exponential vision. Options like buying another business, investing in real estate, or taking an extended vacation to experience the world while you’re young and healthy enough to enjoy it. People like you are turning to Prosperity Economics to gain a new sense of meaning in their financial lives. It is the antidote that will empower you to maximize the use of every dollar and build financial freedom. While retirement planning is mainstream now, it’s only existed for about 35 years. It began to be par for the course in the 1980’s. Hundreds of years before that, people saved money in safe places, built businesses for cash flow, kept money in their control, and stayed very liquid. 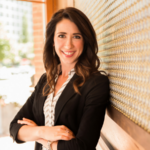 The Prosperity Economics Movement spearheaded and championed by Kim D. H. Butler is a return to the time-tested, old-fashioned, traditional way of understanding and creating wealth. Its principles have surfaced through classic and historical works like the Bible and The Richest Man in Babylon. While this abundance-centric financial philosophy goes against the grain, it’s far from new or unproven. It’s the traditional alternative that’s been around much longer. It’s existed long before the newest strategy, and it survives long after the shine wears off. Sometimes a look behind the curtain is all you need to gain clarity. It’s not good enough just to understand something at face value. Everything becomes clear if you see the inner workings. There’s more than one way to look at the world. You can follow the struggling crowd, or model the successful few. Here’s the permission to stop doing what everyone else is doing, and do what works best for you. 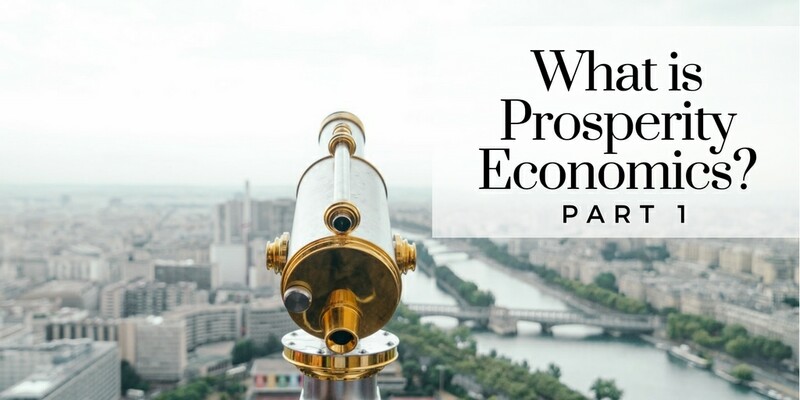 Here’s a look at four of the main questions underlying the differences in the worldviews of typical financial planning and Prosperity Economics. Asking yourself these questions and listening to your most authentic responses will allow you to discover what resonates best with you. 1) Can I Trust Myself? At the heart of the typical planning vs. prosperity economics discussion is the matter of who is in control. Most people have never considered who controls their money. Do you see yourself as the steward and owner of the money you earn? If so, you’ll want to keep and control as much as possible and use it to create your future. Instead, if you see yourself as the dispenser of what comes into your hands, you’ll spend it all to take care of today’s needs. In doing so, you’ll end up allocating all of your resources to the control of someone else. If you believe that you can’t trust yourself, you end up relinquishing control of your money to someone you believe is more capable. But, it’s difficult to have confidence for the future when you’re the one riding on the handlebars of the bike, and someone else is in control. 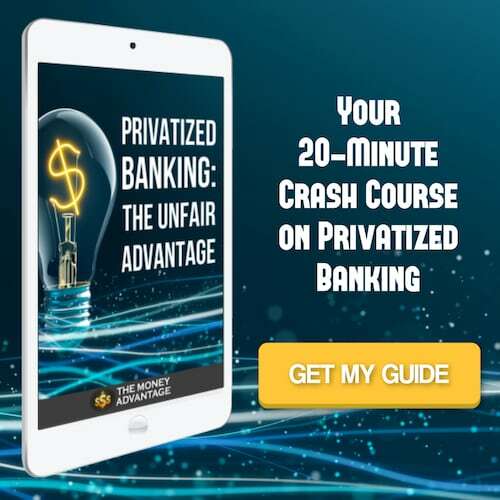 Consider how the bank, the most profitable business model in the world, maintains the position of control. They get money in a systematic way, hold onto it as long as possible, incent you to give it back to them, and return it to you in as little disbursements as possible. We play along. We don’t realize that we’re giving up control by handing over money in a systematic way, leaving it there as long as possible, and taking out as little as possible. When we pay off loans, save for retirement, or overpay our taxes, it is possible we are handing over control. Subconsciously, we believe the financial institutions are the ones better able to be in control than ourselves. If you can’t trust yourself, why would you want to be in control of your finances? This leads to disempowered thinking. Inadvertently, we build the prosperity of financial institutions instead of our own. Prosperity Economics believes that you are the best person to be in control because you can trust yourself. It puts you in the driver’s seat by controlling your money and your financial life. It starts by asking what you want to accomplish in your financial life and figuring out how to best accomplish that. By taking control, we’re able to model the actions of the bank, rather than just being a customer of the bank. It requires believing that you can be trusted with the responsibility for your future, and actively developing your skill to do that. 2) Is Financial Freedom My Goal? Financial freedom, as defined by Robert Kiyosaki, is the position where your passive income exceeds your expenses. The way to get here is by having your money work for you in businesses and investments that provide cash flow. Typical financial planning focuses on building net worth. The bigger the pile of cash, the higher the status. There’s a target of $1 Million, $2 Million, or $10 Million, but the objective is all the same: build the biggest golden egg during accumulation years, then get it to produce monthly income during retirement years. Instead of accumulation, Prosperity Economics emphasizes cash flow, starting today. Cash flow is the gap between your income and expenses every month. More cash flow means you’re keeping more of what you earn each month. You can increase the gap by increasing income AND by reducing expenses. The sooner you start creating cash flow, the more money you’ll have to put to work for you right away. Having more money to work with now expands your possibilities. The more you focus on putting money into cash-flowing assets over just putting money away for the future, the more quickly you’ll build financial freedom. You’ll be light-years ahead of the curve because you’ll have practiced turning cash into income. Focusing on accumulation sets the trigger for turning cash into income way out to your retirement. 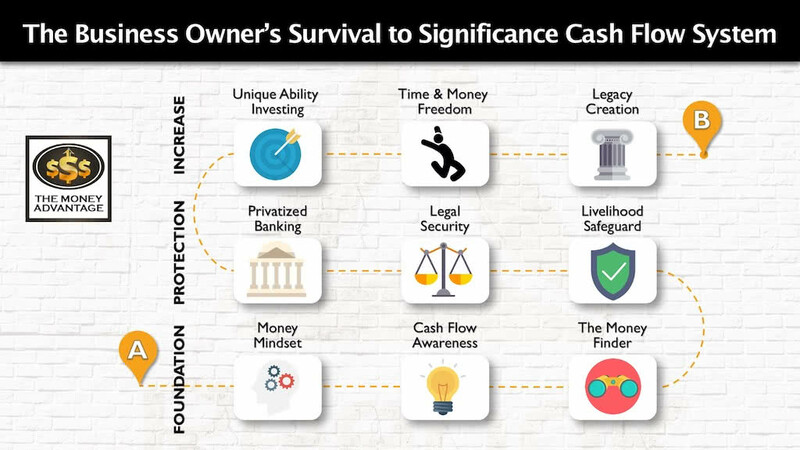 Focusing on cash flow moves that trigger up, giving you a huge lead time in practicing how to generate income with your assets. Setting cash flow goals turns your focus to opportunities that increase cash flow and income today. It’s the difference between piling up cash by addition each month or turning your cash into gnomes that do the work for you and building by multiplication. Would you rather spend all of your working years squirreling away money to turn into cash flow in retirement, or would you rather start focusing on cash flow now? 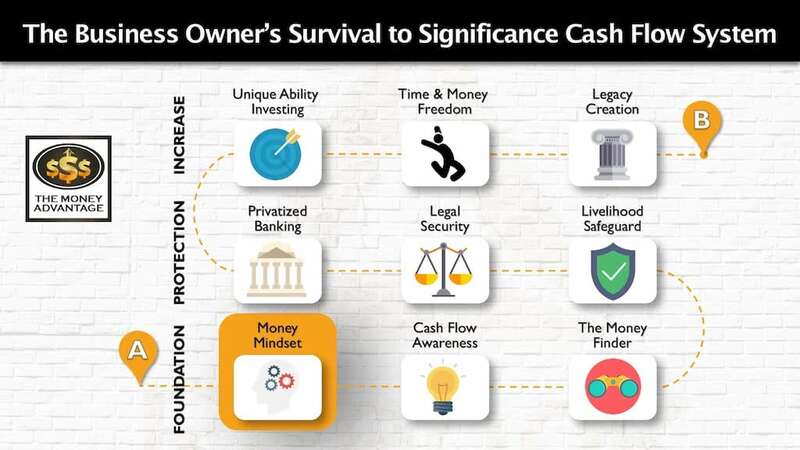 If you learn how to create cash flow now, you’ll have more to use today, more certainty in the future and a lot more fulfillment along the way. 3) Do I Want to Retire? When you’ve sustainably created enough cash flow from your assets to support your lifestyle, you’re out of the “rat race.” You no longer require a paycheck produced by your labor to live. There are no time constraints on this. No magic age of 65. No slowing down, stopping, or giving up on the best of you that you’re creating and providing to the world. Instead, typical planning emphasizes retirement. It focuses on an age that you’ll quit your greatest contribution and be put out of use. It doesn’t define or plan for financial freedom. And failing to aim for financial freedom means predictably missing the mark. Prosperity Economics recognizes that when you are building a business around your unique abilities, creating cash flow, and enjoying life now, you get better with time. The longer you’re at it, the more you’ve learned and the greater skill, efficiency, and impact you’ve developed. So rather than retiring and being put out of use, you increase the value you provide to society. “Retirement” first became an idea around 1883, when the German government paid workers to exit the labor force to make way for younger, more capable workers. At the time, life expectancy was around age 58. If they were still working at age 65, they would receive a government pension. Fast forward to today. Average life expectancy in the U.S. has increased dramatically to around age 80. Life insurance companies have recognized greater life expectancy by moving the marker on the age of endowment from 100 to now 121. However, we haven’t adjusted our age of retirement. It used to be that you’d work 40 years to live in retirement for a year or two. Now, we expect to work 40 years to live in retirement for 15, 25, or even 40 or more. The ratio of working years to retirement years has shifted from 40:1 to about 8:5. The expectation is unrealistic and unsustainable. Because of this, many people don’t have enough money to live their ideal retirement and end up living in fear that they’ll run out of money. It’s a system that disposes people at the point when they’ve amassed the greatest skill set, knowledge, and experience to be of greatest value to the world. Would You Retire if You Love Your Life, Just the Way It Is? The idea of retirement requires you to dislike your life, your work, and want to be doing something else instead. What if you could eliminate everything you don’t like about your work? What if you restructured your business and your role in it so that you only did what you loved, what you were best at, and what gave you the greatest satisfaction? If it allowed you to contribute at your highest potential and live the life you loved, right now, would you ever quit? Instead of an end game of quitting, what if your goal was to build your business to support you best? Building a sustainable business is possible. This business generates cash flow, whether or not you show up every day. It’s built around your greatest capability, with systems and teams who support you. Because you’re doing your life’s work – what you love and what comes easiest to you – it energizes you. It fuels you with a bigger vision for the future and allows you to contribute on the highest level. This business flourishes, allowing you to continue working your whole life and enjoy it along the way. 4) How Do I Maximize My Whole Personal Economy? To make sense of our financial life, we often mentally compartmentalize it. We break it down into categories like lifestyle, retirement, debt, college savings, vacation fund, and taxes. Because we take a micro view and see each part in isolation, we may win in one area, while damaging the whole economy by moving into a position of less control. 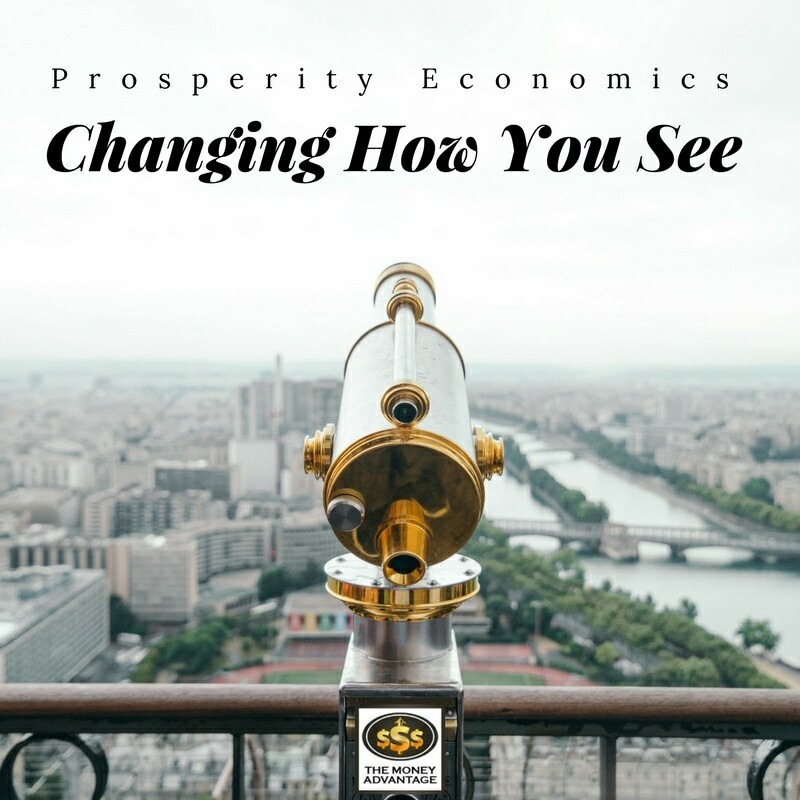 Prosperity Economics develops your comprehensive financial philosophy so you can see your whole financial system with clarity. It’s like pulling over at the scenic outlook of a mountain pass to the valley and ridges that stretch for miles upon miles. This big-picture view gives you the vantage point of seeing how everything works together, like a whole economy. Each part impacts the others, and every financial decision reverberates through your whole system. Seeing the big picture gives you insight into the costs and opportunity costs of each financial move. Using a dollar to pay off debt reduces the liability, shrinks fixed costs, frees up cash flow to be used somewhere else, but also gives up control of that capital. If your money is meant to be used to create cash flow today and maximize your position of control, seeing the big picture allows you to make choices in alignment with those objectives. 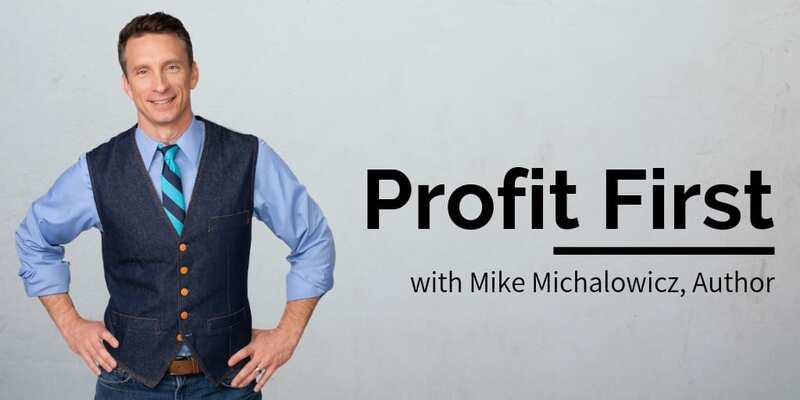 If you’re looking for a better way to take control of your financial life, maybe it’s time you tried Prosperity Economics. If you like this article, check out the podcast for a deeper dive into the first eight of twelve specific comparisons between typical financial planning and Prosperity Economics. It’s a side-by-side comparison of the underlying worldview beneath each methodology. How did the discussion help you think through your concerns or thoughts about financial freedom and your money journey? Did it help you clarify your goals and objectives? Share your comments and questions with us below! Success leaves clues. Follow the successful few, not the crowd. And build a life and business you love.